Healthy, organic or very often used term “BIO” is becoming surely popular among the consumers around the world and especially in western economies. Hence, if a company builds its entire business model around organic and eco-friendly behaving infrastructure, their products are very likely to become a hit for the end users. The Green Organic Dutchman (TGOD.TO) produces high quality, organic cannabis with sustainable, all natural principles. Quebec has the lowest power rates in Canada. 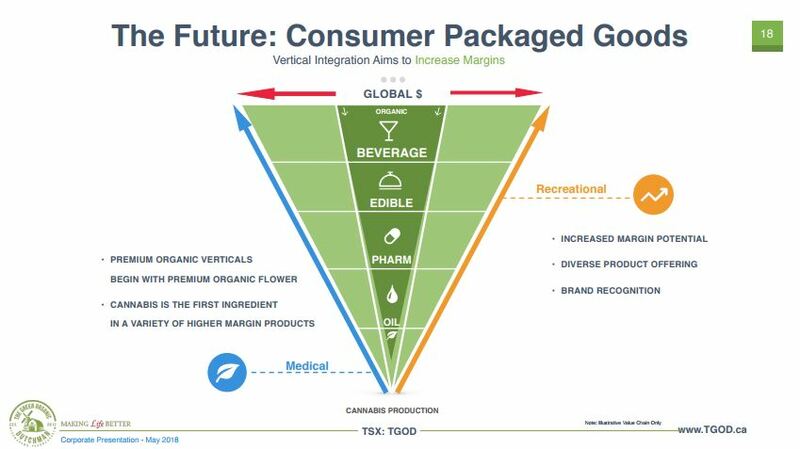 Incorporating the right cost-effective technology, TGOD is probably the most production-efficient cannabis stock on the market at the moment. In the same time, it offers top quality products with a clear business model into future. The Green Organic Dutchman has partnered with industry-leading companies such as Eaton, Ledcor, Aurora and HCE Energy. 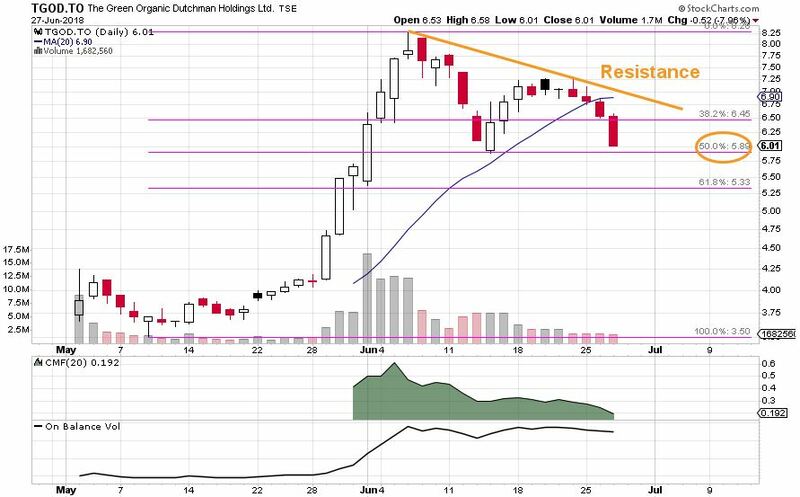 The Green Organic Dutchman (TGOD) started to trade on a stock exchange only two months ago when it was greatly appreciated by investors driving a price two – almost – three times higher. Since the peak, the stock has undertaken a consolidation mode in shape of the downward trading channel. Now everybody wonders when would be the best time to go LONG. Fibonacci retracements signal a possible support at the 50% level. However, this stock will need the entire industry to move in the same trend, which is not the case at the moment. HMMJ has just broken down 20 EMA and landed on 50 SMA. This will need to stabilize and continue to rise again. Thus, whether TGOD holds on 50% level of Fibonacci or goes even below, a successful trader needs to wait until the stock gets to bounce back through the current resistance. The Green Organic Dutchman represents a valuable company and great possibility for investors in long-term. Stay disciplined and focused on the big picture.